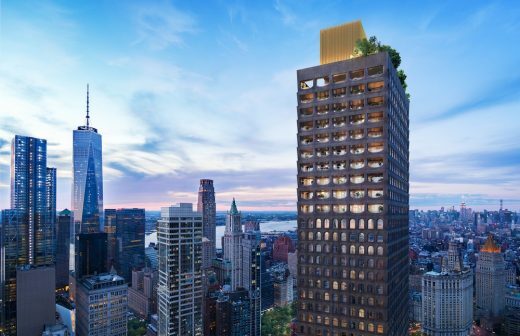 Lightstone, one of the largest and most diversified privately held real estate companies in the United States, is developing 130 William, a new luxury high-rise tower located in lower Manhattan. 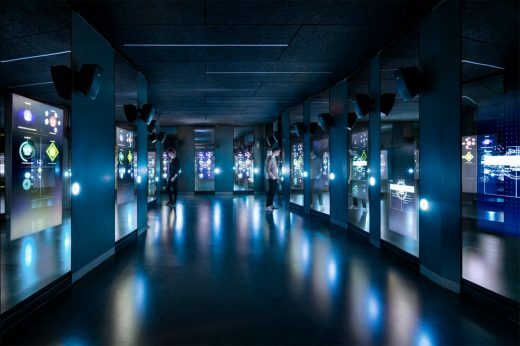 The spy headquarters allows visitors to deeply engage with the practice of espionage today. In addition to permanent and temporary exhibition spaces, the program for the 60,000 ft, three-level museum includes a world-class black glass bar, flexible event spaces, and a rare bookstore. Lightstone, one of the largest and most diversified privately held real estate companies in the United States, and Adjaye Associates, the world-renowned architecture firm founded by Sir David Adjaye, announce 130 William, a luxury condominium building located in downtown Manhattan. After an international architectural competition, with 92 entries in total, Adjaye Associates, Ron Arad Architects and Gustafson Porter + Bowman were selected unanimously as the winning team, by a Jury including the Secretary of State for Communities and Local Government, the Mayor of London, the Chief Rabbi, experts from architecture, art and design, and both first and second generation Holocaust survivors. The historic groundbreaking for the Museum’s new building will take place during the 50th anniversary year of 2018. 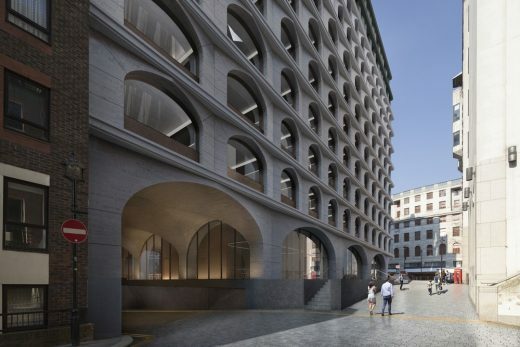 The internationally acclaimed architecture practice has been appointed by development manager Alchemi Group, on behalf of investment firm BlackRock, Inc. to redevelop the site situated at 5 Strand with a 158,000 sq. ft mixed use development. Sir David Adjaye received his award from Prince William, Duke of Cambridge at an official Investiture ceremony held at Buckingham Palace. The knighthood follows two previous royal awards received by Sir David – the 2016 Queen’s Birthday Honours in October 2016 and an Officer of the Order of the British Empire (OBE) in 2007. Sir David said: “I am deeply honoured and delighted to have received a knighthood for my contribution to architecture, and absolutely thrilled to be recognised for a role that I consider a pleasure to be able to undertake. I would like to thank Her Majesty the Queen for this incredible privilege, which I see as a celebration of the potential architecture has to effect positive social change”. The knighthood crowns a memorable 12 months for the architect, who celebrated his 50th birthday in September 2016 and at the same time completed the largest project in his career to date – the Smithsonian Institution’s National Museum of African American History & Culture on Washington DC’s National Mall. He was named one of 2017’s most influential people by TIME magazine and became a new Royal Academician by the Royal Academy of Arts. The past year has also seen Sir David’s firm Adjaye Associates win a host of industry awards and high profile commissions. 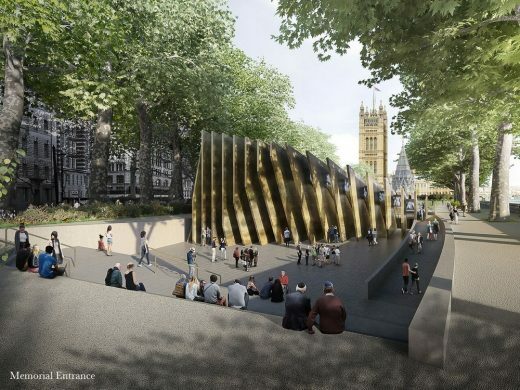 Most recently, the practice was shortlisted to design the UK’s National Holocaust Memorial and revealed plans for One Berkeley, a mixed-use scheme situated on London’s iconic Piccadilly. 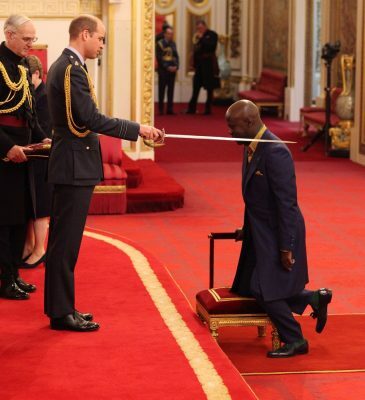 David Adjaye joins only a handful of architects to have been knighted – among them Norman Foster (1990), Richard Rogers (1991), Michael Hopkins (1995), Nicholas Grimshaw (2002), Peter Cook (2007) and David Chipperfield (2010). 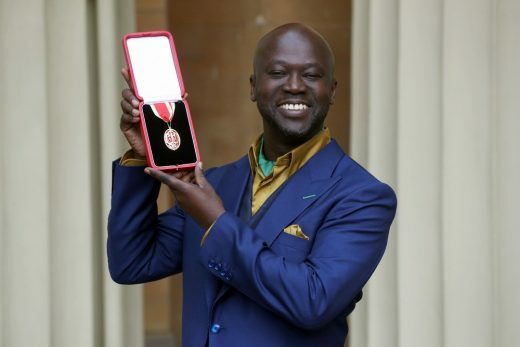 World-renowned British-Ghanaian architect David Adjaye was honoured today with a knighthood for his services to architecture as part of the Queen’s biannual honours programme. 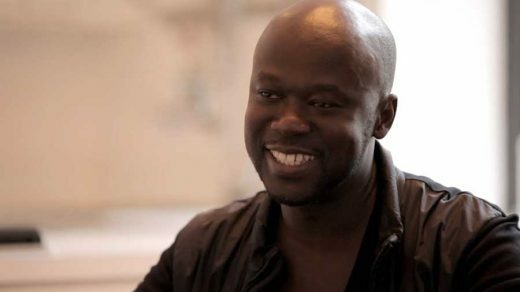 David Adjaye studied architecture at LSBU, before training with renowned architects David Chipperfield and Eduardo Souto De Moura. He founded his own architecture practice at the age of just 28 – since when he has built a global reputation for excellence in design and his innovative signature style of architecture which is sometimes described as ‘sculpting with light’. Sir David Adjaye has been named among TIME magazine’s 100 most influential people in the world – and is the only architect on the 2017 list. The Royal Academy of Arts has elected the internationally renowned architect Sir David Adjaye and artist Gilbert & George as new Royal Academicians following a recent General Assembly. 11th January 2017 – Distinguished international architect and London South Bank University (LSBU) alumnus David Adjaye is to become Sir David Adjaye after being awarded a knighthood for services to architecture in the Queen’s New Year Honours list 2017. · Professor Jacqueline Dunkley-Bent – OBE Visiting Professor of Midwifery. 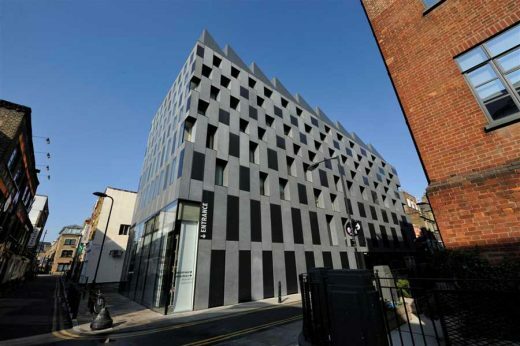 Local London landmarks designed by Adjaye include the Stephen Lawrence Centre in Deptford, which aims to encourage disadvantaged young people to pursue careers in architecture and urban design. He collaborated with David Chipperfield on designs for the flagship Idea Store in Whitechapel, in the heart of London’s East End and helped transform an old timber factory in Shoreditch into the minimalist ‘Dirty House’ – home to artists Tim Noble and Sue Webster. David Adjaye’s high profile international projects include the Moscow School of Management, Smithsonian National Museum of African American Culture and History in Washington DC, Museum of Contemporary Art in Denver and the Nobel Peace Centre in Oslo. 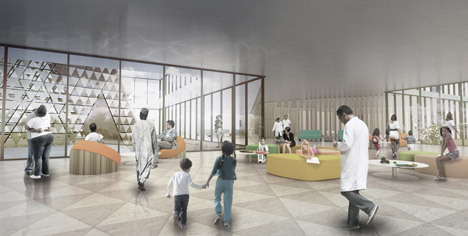 His firm, Adjaye Associates, is currently involved in plans for a major new art museum in the Latvian capital Riga and a children’s cancer treatment centre in Rwanda. The Dedication and Grand Opening of the National Museum of African American History & Culture will take place on September 24, 2016. 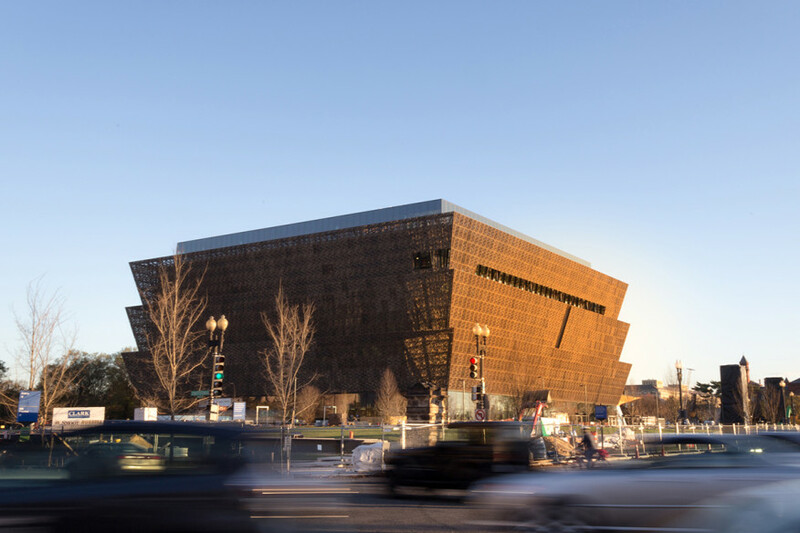 The design is by Freelon Adjaye Bond / SmithGroup for client the Smithsonian Institution. In January, the show is dedicated to architecture, and is fronted by British architect David Adjaye, the man behind the new Smithsonian National Museum of African American History and Culture in the US. The show also receives insight from Daniel Libeskind, the world-renowned, New York-based architect who was chosen as master planner of the World Trade Center redevelopment after 9/11. 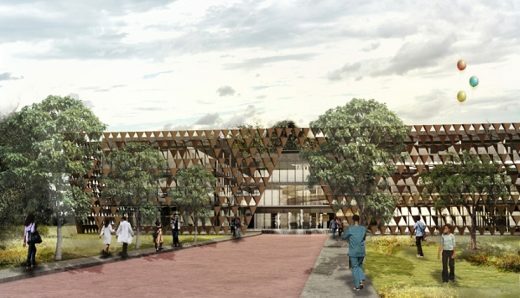 The two architects chosen by Adjaye are creating buildings for growing populations, taking into account the needs of the environment and sustainability. ‘CNN Ones to Watch’ travels to Africa, Europe, Vietnam and Singapore to meet emerging architects Kunlé Adeyemi and Vo Trong Nghia as they create and showcase their work throughout the episode. Nigerian architect Kunlé Adeyemi shows ‘CNN Ones to Watch’ one of his major projects in the community of Makoko in Lagos, Nigeria, where he has focused on building on and around water. “Nearly 70 per cent of the world capital cities are by water. And with the impact of urbanisation, growth in these areas, merged with the issues of climate change, how do we develop these growing urbanisms around water?” Adeyemi asks. American artist Doug Aitken and British architect David Adjaye have collaborated for the first time to design a pavilion that will be installed outside Tate Liverpool on the city’s historic Albert Dock as part of the Sky Arts Ignition Series, which will go on show from 15 September 2012 – 13 January 2013. Sky Arts Ignition: Doug Aitken ­ The Source will be part of the seventh Liverpool Biennial. The circular building will be located immdeiately west of Tate Liverpool. Sky Arts Ignition: Doug Aitken ­ The Source is the artist¹s first public realm installation in the UK and features filmed conversations with some of the world¹s leading creative figures. Participants of all ages and backgrounds, working across different art forms, respond to two questions: where does the creative idea start and how is it realised? Those interviewed include David Adjaye, Devendra Banhart, Thomas Demand, Liz Diller, William Eggleston, Jacques Herzog, Mike Kelley, Lucky Dragons, James Murphy, Philippe Parreno, Richard Phillips, Jack Pierson, Stephen Shore, Paolo Soleri, Tilda Swinton, Ryan Trecartin and Jack White. The Pavilion will be located in Mermaid Court, adjacent to the largest single grouping of Grade 1 listed buildings anywhere in England. 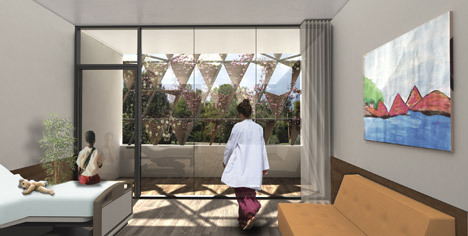 At 14.2 metres in diameter, with a sloping roof that ranges from 2.8m to 4.8m in height, the pavilion will provide an immersive experience during the day, with a night-time presence created through the projection of Aitken¹s work on the outer walls of the circular structure. Built from a wooden frame and a combination of corrugated acrylic and bitumen panels, the pavilion will be a temporary structure that deliberately separates Aitken¹s work from the traditional gallery space in order to create a new cultural destination. The Sky Arts Ignition Series was launched in 2011 to support the creation of major new works of art as well as nurture emerging talent. Sky Arts Ignition: Doug Aitken ­ The Source is the first project in the series, which will see Sky Arts collaborate with six leading arts organisations from across the UK and Ireland in the creation of brand new works. For each of the chosen projects, Sky Arts will provide a cash investment of up to £200,000 and work with the arts partners to bring their projects to a wider audience, using Sky’s platform. The William O. Lockridge/Bellevue Library and the The Francis Gregory Library now open. Authoring: Re-placing Art and Architecture challenges traditional assumptions about the relationship between art and architecture. 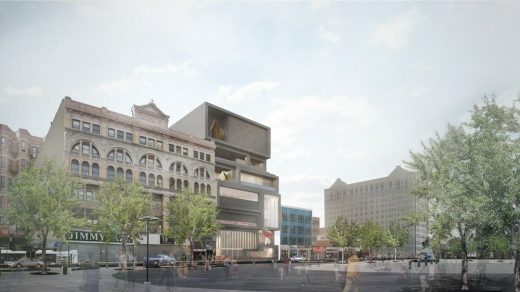 From 2008 through 2010, David Adjaye and Marc McQuade, taught three studios at the Princeton School of Architecture. Each studio focused on a collaboration with three distinguished artists-Matthew Ritchie, Teresita Fernández, and Jorge Pardo-on interventions in three vastly different sites: the state of New Jersey, the Gowanus Canal in Brooklyn, and the city of Mérida in Mexico’s Yucatán Peninsula. Through an exploratory process of questioning, developing, and testing, each architect and artist reexamines the expectations traditionally associated with the conventions of architectural design and representation. Authoring: Re-placing Art and Architecture presents recent projects from David Adjaye, Matthew Ritchie, Teresita Fernández, and Jorge Pardo, along with interviews, essays, and archival material that explore the shared space of art and architecture. 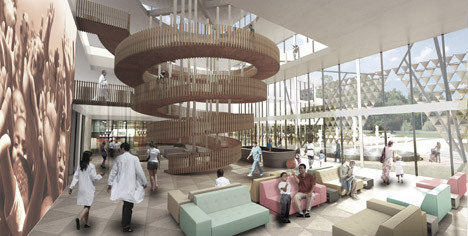 The National Museum for African American History and Culture (NMAAHC) broke ground on 22 Feb 2012. President Obama delivered remarks at an official ceremony celebrating this milestone for the Smithsonian Institution’s new museum on Washington’s National Mall. After more than a decade in Penn Street Hackney, Adjaye Associates’ London studio has moved into the recently redeveloped Art Deco Edison House on Old Marlebone Road. Occupying the entire ground floor, the office is a radical new space planned and designed by the practice. Strengthening Adjaye Associates’ London base, the move celebrates the studio’s longstanding enthusiasm for working locally – both in London and across the UK. Edison House is a freshly completed development with striking office space that will champion the London headquarters, while consolidating the practice’s international presence, with its partner offices in Berlin and New York. David has become well-known for his intriguing houses which are innovative especially in materials and colour, and for The Idea Store building typology which is both a library and education centre. 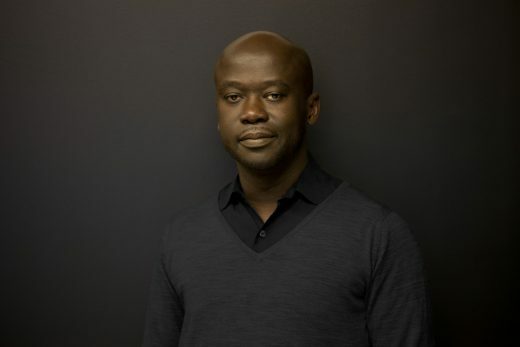 David Adjaye is founder and Principal Architect of Adjaye Associates. Established in June 2000, the firm has received worldwide attention, with work ranging in scale from private houses, cafes and bars, exhibitions and temporary pavilions to major arts centres, civic buildings and masterplans in Europe, North America, the Middle East, Asia and Africa. The architecture practice is currently engaged on the prestigious commission to design the Smithsonian Institution’s ambitious National Museum of African American History and Culture on a prominent site on the National Mall in Washington D.C. Adjaye’s belief in working together with artists and other cultural thinkers has led to a number of notable collaborations on both building projects as well as exhibitions. The architects practice established its early reputation with a series of private houses where the artist was client, and this dialogue continues with recent public buildings, exhibitions and research projects, including Chris Offili’s “The Upper Room” exhibited (1999-2002 and 2010), which is now in the permanent collection of Tate Britain. David Adjaye’s photographic survey of 52 cities across the continent of Africa, “Urban Africa”, exhibited at the Design Museum London (2010), has shifted the understanding of Africa’s metropolitan centres while offering a global resonance and consolidating the African heritage that informs the practice’s work. He was awarded the OBE for services to architecture in 2007 and received the Design Miami/ Year of the Artist title in 2011. 11th January 2017 – Sir David Adjaye KCVO OBE is one of the world’s most recognisable and influential architects. Born in Tanzania, where his father was a Ghanaian diplomat, he decided on his future career at an early age. “I just wanted to do architecture because I loved it,” he has said. “Nobody was going to stop me.” He studied architecture at London South Bank University (LSBU), before training with David Chipperfield and Eduardo Souto De Moura. In 1994 he started his own architecture practice at the age of just 28. Since then, David has made his mark all over the world. In his hometown of London, he has designed a series of dramatically beautiful private homes and worked with Tower Hamlets Council on Idea Stores in Poplar and Whitechapel. He designed the Stephen Lawrence Centre in Deptford, which aims to encourage disadvantaged young people to pursue careers in architecture and urban design. David’s glittering portfolio and high public profile have put him in demand as a teacher and presenter, and he is currently visiting professor at Princeton School of Architecture, USA. He is the co-presenter of the BBC’s Dreamspaces, and has interviewed seminal Brazilian architect Oscar Niemeyer for BBC radio. He has also presented a BBC documentary, Building Africa: The Architecture of a Continent. In 2007, he was awarded an OBE for services to architecture. In 2017 he was awarded Knight Commander of the Royal Victorian Order in the Queen’s New Year Honours list. November 11, 2018 in Architects.